This story originally appeared on Jan. 30, 2015. The year is 1960 and a congressional delegation is touring military bases in Western Europe to evaluate custody and safety issues associated with U.S. nuclear weapons. With the delegation is a scientist named Harold Agnew—and he’s not just another congressional staffer. Agnew helped build the world’s first nuclear reactor, served as the official scientific observer during the mission that dropped the Hiroshima bomb and at the time was the science adviser to the Supreme Allied Commander Europe—the military head of NATO. While at an air base almost certainly located in what was then West Germany, Agnew saw little evidence that nuclear weapons were under strict American control, as Congress expected. At best there was what he later called a “token custodial arrangement” that he witnessed when he saw nuclear bombs hanging under West German aircraft with only the supervision of a young, lone American G.I. on the flight line. “What are you going to do if these guys come running out and they’re going take off and no one has told you that it’s all right?” Agnew asked the soldier. The soldier said he didn’t know what to do. “What you ought to do is just shoot the bombs,” Agnew told him, counting on the high probability that bullets would disable the weapons. “Shoot those things and don’t worry about it. A security plan that calls for shooting The Bomb—and crossing your fingers for luck might—sound like a scene straight out of Stanley Kubrick’s Dr. Strangelove. But Agnew’s recollections are just some of dozens about the often fragile nature of nuclear weapons safety and security in a documentary produced by the Sandia National Laboratories for internal use and recently made public under the Freedom of Information Act. Always/Never: The Quest for Safety, Control and Survivability is a 2010 film that chronicles efforts to solve one of the most delicate conundrums of the nuclear age—how to ensure that nuclear weapons will always work when needed, but would never work in an accident or when stolen. William Burr, a senior analyst with The National Security Archive at George Washington University, which obtained the film, said that Always/Never’s was meant for government insiders and experts within the Department of Energy, Sandia and the national security bureaucracy. “The purpose of the film was to tell the story of Sandia’s role in government nuclear safety programs in the context of the Cold War and U.S. nuclear history,” Burr told War Is Boring. “There’s a certain public relations aspect to the documentary to put Sandia’s historical role in a good light, but that does not significantly detract from the high quality of the presentation,” Burr added. You can watch Always/Never at The National Security Archive Website. Some of the film’s extras are also available, including bios of the movie’s subjects and a brief documentary on the introduction of nuclear weapons in Western Europe. The film covers both the history of the nuclear age and the quest for weapons safety and security in meticulous detail—and sometimes surprising candor. Agnew, who died in 2013, is just one of the many scientists, engineers, policymakers and military men who appear in the film. 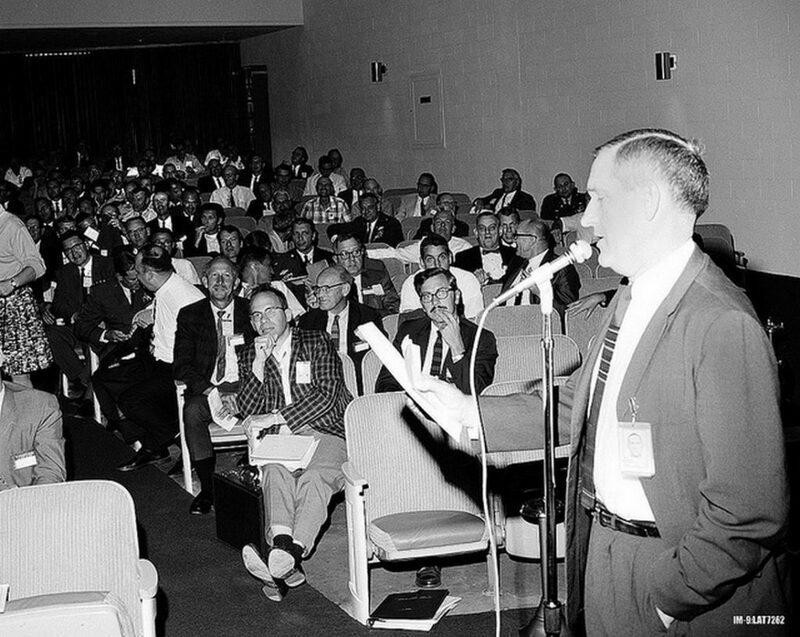 Others include former defense secretaries Robert McNamara and James Schlesinger, RAND Corp. researcher and defense policy adviser Fred Iklé, former arms control ambassador Linton Brooks, veterans of the early atomic era such as Little Boy weapon’s officer Leon Smith and former U.S. Air Force launch control officer and current nuclear weapons safety expert Bruce Blair. Always/Never even has moments of wry humor. The film also calls the always/never problem “the Dr. Stangelove problem” and uses clips from the Kubrick film to make certain points about real safety issues. One thing the movie does not have is endless shots of atomic fireballs and mushroom clouds. But there are plenty of scenes depicting the various nuclear warheads and delivery systems in the U.S. arsenal over the years. It isn’t every day a nuclear weapons aficionado can see historic footage of G.I.s lugging around man-portable atomic demolition munitions, for example. However, the film pulls no punches regarding one key truth about nuclear weapons—they are inherently dangerous even before they’re armed and detonated. Nukes are packed not only with highly radioactive weapons-grade material, but also high explosives and high-voltage components. There’s always some risk involved, no matter how effective a warhead’s safeties. It’s a question of how much risk is acceptable to civilian authorities, the military and the weapon’s designers. 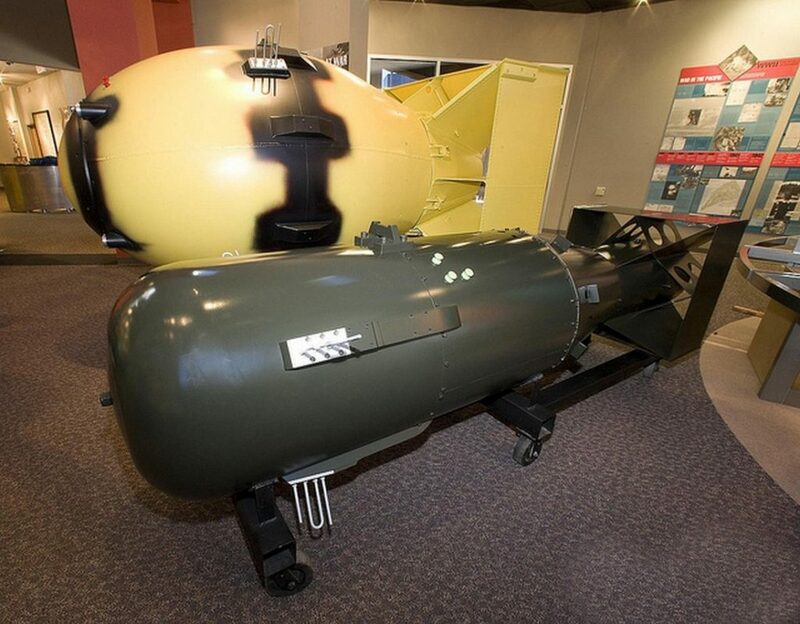 Always/Never explains how early weapons such as Fat Man and Little Boy were built by hand … and how the fissile material was close enough within the bombs that a crash-landing by one of the B-29s carrying the weapons would have resulted in some kind of nuclear explosion. During the late 1940s and the ’50s, removable capsules with the fissile material could be placed in the weapon either manually or by an automated system in the bomber, and then removed again after an exercise or an alert. This method greatly increased safety. But then Soviet Union launched Sputnik and intercontinental ballistic missiles became a reality. Minutes could mean the difference between retaliation or annihilation. Air Force general Curtis LeMay, the commander of Strategic Air Command, wanted constant nuclear readiness, control of the weapons under SAC commanders and the ability to launch U.S. missiles on warning of a Soviet attack. By the 1960s, scientists and engineers designed weapons that already had the fissile material installed—so-called “sealed pit” warheads. The film points out that solved the readiness problem, but increased the chances of everything from an accidental nuclear explosion to the possibility of unauthorized use of a nuclear bomb by a renegade general. So scientists and engineers began to design coded locks called “permissive action links,” an effort that takes up a significant portion of the film. This is one of the times during Always/Never when the average viewer might benefit from a degree in engineering or physics. There are also detailed discussions of spectacular nuclear accidents such as the 1961 B-52 crash in North Carolina, where all but one of the safeties failed on one of two Mark 39 2.5-megaton H-bombs that plummeted to the earth. Always/Never’s portrayal of the crash—and how close United States came to accidental nuclear detonation—are downright chilling. And although the film doesn’t directly raise the issue, one can’t help but wonder that if these issues have always challenged the well-funded and professional United States nuclear establishment, what is the always/never problem like for other members of the nuclear club such as Pakistan or India?